An insightful essay on how three simple ingredients changed the world — or at least our sandwiches. Mayonnaise is a wondrous thing. It consists of eggs, vegetable oil and an acidic liquid, usually vinegar or lemon juice, but in its finished form is nothing like any of those three. This is true of lots of cooked foods, of course, but mayonnaise isn’t heated, just mixed. In its mass-produced form it is a durable source of creamy goodness compiled of a gratifyingly short list (for a mass-produced food) of reasonably wholesome ingredients. So when the Washington Post’s Catherine Rampell expressed some surprise on the bombshell story this week on the board exodus at eggless-mayonnaise maker, Hampton Creek, classified under “Technology” on the Bloomberg News website, it got me thinking: Mayonnaise must have been a huge technological breakthrough in its day. 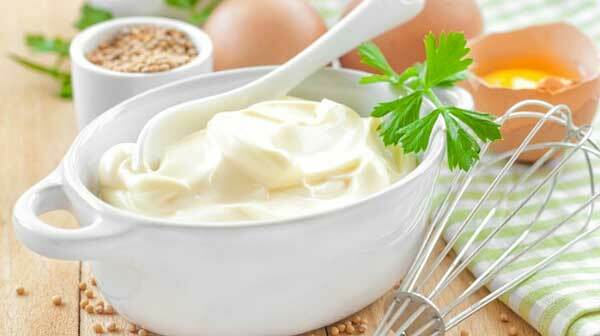 Mayonnaise is said to be the invention of the French chef of the Duke de Richelieu in 1756. While the Duke was defeating the British at Port Mahon, his chef was creating a victory feast that included a sauce made of cream and eggs. When the chef realised that there was no cream in the kitchen, he improvised, substituting olive oil for the cream. A new culinary masterpiece was born, and the chef named it “Mahonnaise” in honor of the Duke’s victory. Allioli had been around at least since Pliny wrote about it in the first century C.E., but it had always been extremely problematic — coaxing an emulsion out of oil, garlic, and salt is, it is almost universally agreed, nearly impossible. This process had remained a Catalan secret for millennia for just this reason — it could hide in plain sight because it was the culinary equivalent of black magic. What had apparently happened at some point (probably during the Renaissance) was that someone had added an egg and an acid to the recipe. This changed everything — anyone with the simple, if unlikely, instructions could now make this wonderful sauce. Emulsifiers, with one end that is attracted to water and another that is attracted to oil, do two things — they coat the liquid droplets and prevent their joining together, and they change the inward pull (surface tension) of one of the liquids in the emulsion. That liquid loses its inward pull and becomes, so to speak, juicy, so that it can run between the droplets of the other liquid. Now, just because some people in Catalonia, Provence or somewhere else along the Mediterranean coast may have stumbled into enabling this magical transformation during the Renaissance doesn’t mean they understood it or immediately inspired lots of imitators. Mayonnaise is the No 1 condiment in the US, well ahead of ketchup, and the US isn’t even a global contender as far as per-capita mayo consumption. The top spot is held by Russia, where mayonnaise goes with pretty much everything, and the rest of the top 10, according to Euromonitor, is heavy on Eastern European countries. But mayonnaise is also big in Japan, in Chile and in lots of other interesting places. Many of these markets seem to have become saturated with mayo, in fact, with global consumption declining in recent years. But hey, there’s still China and India to conquer! What has enabled this near-ubiquitousness of mayonnaise is something that was discovered around the turn of the 20th century: With proper precautions, you can put the stuff in a jar and have it stay creamy and safe to eat for months or even years. One key factor in this longevity is the vinegar or lemon juice, which tends to kill off any bacteria that might crop up. Another is the remarkable binding power of those egg yolks. Still, some people don’t want to eat eggs, which is what Hampton Creek’s Just Mayo — which got me started on this topic — is all about. It uses yellow pea protein and food starch in their place. The company didn’t invent eggless mayonnaise, but it has definitely marketed it more aggressively than anyone else ever has. Both Unilever and the American Egg Board have tried to stop Hampton Creek’s product from being labelled as mayonnaise, with no success. It’s “Just” Mayo as in “righteous,” not “simply.”…. Japan is obsessed with mayonnaise — well, its version of mayonnaise, anyway, a brand called Kewpie. Why?